New York City must be in the running for city that holds the most parades; and diverse parades. 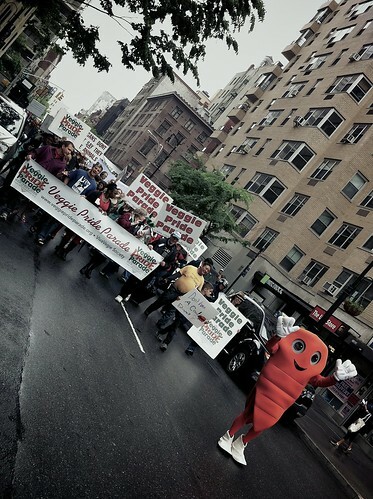 I came across the Veggie Pride Parade randomly the other day, led by no other, than Mr. Carrot himself. I didn’t have the heart to tell him where I was heading for lunch. ~ by mrpatrickblog on May 19, 2011. Sorry about calling you the wrong name Patrick…I made the comments before reading your “About” page. Please forgive me…twice. I really like your work though, I hope I didn’t offend you.